The primary objective of the present study was to assess the effects of vitamin and mineral premix (VMP) withdrawal from the diets 30 and 60 days ahead of slaughter on carcass and meat quality of Holstein Friesian steers. 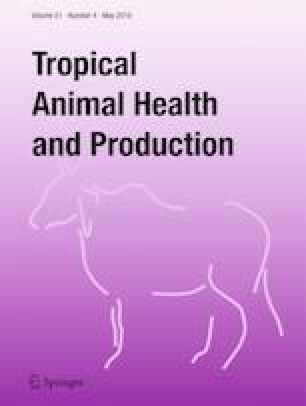 A total of 45 animals at 16 to 17 months of age were used and the selected animals were divided into three experimental groups: control group (fed with a diet with VMP), VMP withdrawal 30 days ahead of slaughter (VMP30 group), and VMP withdrawal 60 days ahead of slaughter (VMP60 group). Meat samples were taken at 24 h postmortem from the 13th rib section and meat quality was evaluated on the Longissimus dorsi thoracis (LT) muscle. After slaughter, carcass yield and meat drip loss, cooking loss, thawing loss, and shear force traits were determined. Meat pH and color parameters were measured at 24, 48, 72, 96, 120, and 144 h of postmortem. The fatty acid composition in 13th rib section’ adipose tissue was determined. The hot and cold carcass weights, carcass yield and chilling loss were not affected by the withdrawal of VMP from the diet. Withdrawal of VMP from the diets 30 and 60 days ahead of slaughter did not have any significant effects on ultimate pH, drip loss, cooking loss, thawing loss, shear force, and meat color. Additionally, dry matter, crude protein, ash, fat contents, moisture-protein ratio of the meat samples, and fatty acid profiles were not affected by VMP30 and VMP60 treatments. It was concluded based on present finding VMP could be withdrawn safely from the diets 30 and 60 days ahead of slaughter without any negative effects on carcass and meat quality traits of feedlot steers. Withdrawal of VMP may reduce feeding costs and environmental damages generated by animal breeding systems. The authors are indebted to Saray Çiftliği A.Ş. in Kayseri for animal husbandry, animal care and slaughterhouse facilities and help for getting phenotypic traits. This study was funded by the Saray Tarım A.Ş. (Kayseri, Turkey). All procedures involving animals were approved by the Erciyes University Animal Care and Use Committee 15/86.